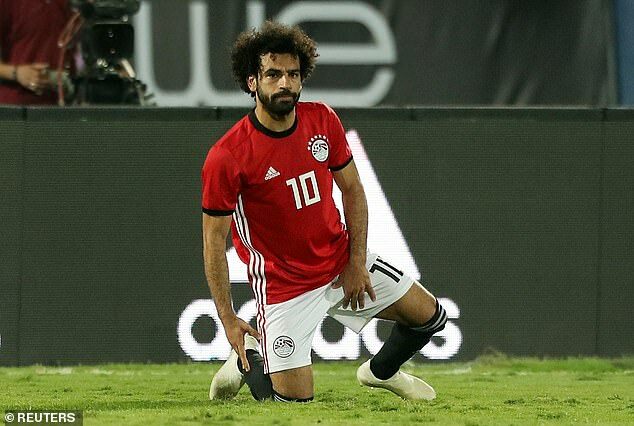 Mohamed Salah limped off towards the end of Egypt’s 4-1 win over Swaziland with a ‘muscle strain’ after scoring a brilliant goal straight from a corner. The Liverpool forward curled the set-piece home in the African Nations Cup qualifier in Cairo before suffering problem, seemingly with his hamstring. Egypt assistant Hany Ramzy moved to ease fears over the 26-year-old’s fitness post-match by insisting it was ‘not a big injury’. ‘The initial diagnosis confirmed that the injury is a muscle strain and there is no possibility of muscle rupture,’ Ramzy told yallakora.com. Salah, who hit 44 goals for Liverpool in all competitions last term, has struggled for form so far this season. But he offered a reminder of his class by putting his side 4-0 up in a routine win. The former Roma star has scored just three in 11 appearances for the Reds but Jurgen Klopp will now be sweating on Salah’s fitness with the Reds taking on Huddersfield next weekend in the Premier League.